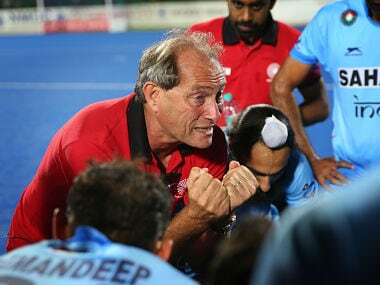 Kuantan: Indian hockey coach Roelant Oltmans on Saturday singled out star midfielder Sardar Singh for special praise after the team staged a remarkable fightback to beat South Korea and enter the final of the fourth Asian Champions Trophy at Kuantan. India came back into the game after slipping behind South Korea with just seven minutes remaining in the semi-final contest. "Trailing 1-2, we needed something special to get back in the contest and that sparkle was provided by Sardar Singh," said Oltmans, praising the former India captain and the most experienced member of the squad for setting up the 55th minute goal that earned India 2-2 parity after they had slipped behind. India went on to win the penalty shootout 5-4 as seasoned custodian PR Sreejesh thwarted the last South Korean attempt by Lee Dae-Yeol. Leading through an early goal by Talwinder Singh in the 15th minute, India saw South Korea make it 1-1 through a field goal by Seo In-Woo in the 21st minute. The Koreans went 2-1 ahead in the 53rd minute on a penalty stroke conversion by Yang Ji-Hun. The penalty stroke came after a fine counter-attack released the pressure against the Indians. Producing his old sparkle when India were under tremendous pressure, Sardar moved in along the goal-line on the right flank and went past a couple of Koreans before passing the ball for Ramandeep Singh to flick into the goal. "Sardar created a brilliant goal, that's what he is in the team for," said Oltmans. "South Koreans played a very defensive formation and they were difficult to break." This goal saved the blushes for pre-tournament favourites India, who had slipped behind on a defensive lapse two minutes earlier against the rivals who played with a packed defence throughout the match. "Down 1-2 with just seven minutes to go, the boys showed their resolve for a fightback," said Oltmans. The young South Korean outfit had held India to a 1-1 draw in their round-robin league encounter. It was the only game the Indians did not win in the preliminary league. Oltmans said India had three good quarters and one bad one during regulation period today, but that one quarter could have ruined everything. "The Koreans closed their territory by often getting eight players back to defend," said Oltmans. 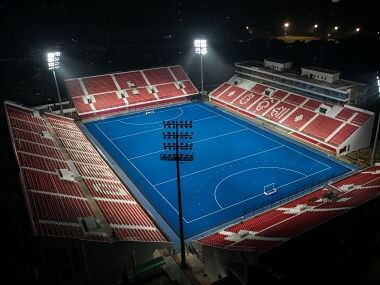 This is India's third entry into the final of the Asian Champions Trophy, whose inaugural edition it won in 2011 and were runners up to Pakistan in 2012.